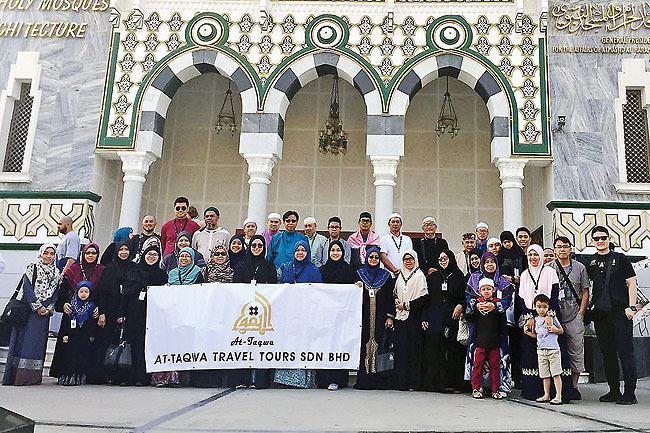 AN EIGHT-member Umrah group from At-Taqwa Travel Tours Sdn Bhd agency visited the holy city of Makkah while worshipping the Masjidil Haram. Among the places visited were the Two Holy Mosques Architecture Museum which displays a replica of Masjidil Haram before and after the expansions, and historical photos of Madinah in the past, among others. The group also visited historic sites such as Jabal Thur which was the sanctuary of Prophet Muhammad (pbuh). The delegation also performed Friday prayer at the Masjidil Haram.